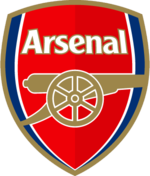 Arsenal Analysis: Back to back for Manchester United? Liverpool are priced at about half of Arsenal’s odds and the rest, especially Spurs, are really nowhere. These are prices quoted at the time of writing this post. Most of the teams have not yet of course completed their annual summer retail therapy. But most of them, especially the top four, have made significant moves. More is still to come but the areas that teams need to strengthen are to me discernible enough. Part III: Chelsea come back? Manchester United’s major weaknesses last season were the lack of quality alternatives in the center forward position, the absence of effective midfield defensive cover and a relatively thin squad which began to show cracks in the latter stages of the season. Saha is the only proper centre forward at the moment and he is also injury prone. Roonie is not really a centre forward he is rather a number 10 playing behind the forward and that is where he is most effective. No wonder Ferguson brought in Henrik Larsson in the middle of last season. He is now gone of course and Sir Alec’s attempts to buy another quality centre forward originally included Anelka but has since managed to sign Tevez. 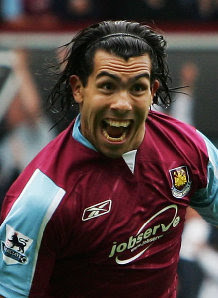 However I don’t think that Tevez can really play at that traditional centre forward position. He is more a roaming forward who is most effective playing in the area between the opposing defence and their midfield. More like Roonie. 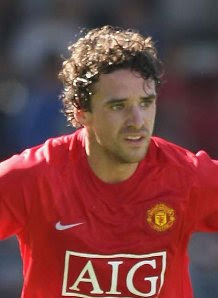 Ferguson has got two similar players there and he will have to work out a formation if he intends to play them together. But one thing is for sure Tevez will add a tremendous amount of flexibility in terms of playing formations. And indeed as high quality cover. Man Utd have goal sources from all over the pitch but I still think that they really need another tall and strong front target man. I would not therefore rule out another surprise signing from Alec Ferguson (especially in the January window if events demand it). If this happens then Man Utd will have the most potent forward line in the Premiership. Hargreaves looks a very good buy who will add defensive steel in front of the back four. Something that was sorely missing last season. Carrick is a good playmaker but is not really defensively minded. He will replace Scholes, eventually. Maybe sooner than we think. But more importantly the addition of Hargreaves helps to balance the team beautifully. This may prove a more important signing in tactical and strategic terms than Tevez or the other players that have been brought in. Nani and Anderson are too young and inexperienced (especially in the Premiership) to make an impact this season. They are very skillful but they look overpriced to me. Nevertheless what they will add to the squad this season will be cover especially in the Cup games. This will allow other important players very valuable rest and at the same time reduce the chances for the occurrence of injuries from too many games. The addition of all these players will indeed add strength in depth which will prove extremely valuable come the latter and most significant stages of the football calendar. Something which was so evidently missing last season. Predicting that Man U will be there at the end is obvious but will they win it again? They look pretty strong to me and this is difficult to say being an Arsenal supporter. Prediction: Premiership race for the title going to the wire. Back to back titles. IN Anderson (FC Porto, initial £8m rising to £20.4m), O Hargreaves (Bayern Munich, initial £16.8m rising to £20.2m), Nani (Sporting Lisbon, initial £8m rising to £17.3m), T Kuszczak (West Bromwich Albion, undisclosed), Carlos Tevez. OUT T Howard (Everton, undisc), K. Richardson (Sunderland, £5.5m), Giuseppe Rossi (Villarreal, undisclosed), Alan Smith (Newcastle, £6m). An unbiased analysis coming from an Arsenal blog!